If you are looking for ideas for pool enclosures, look no further! Here are some tips, tricks, and ideas for enclosing your pool safely and beautifully. If you have a pool or are considering moving into a home that comes with a pool, you may be thinking of ways to enclose it to make it safer for kits or pets. Additionally, some pool enclosures can protect your pool from the elements and provide a weather-proof environment for enjoying your pool all throughout the year. There are many different kinds of enclosures that can go around your pool, depending on your preferences and where you live. Whether you are looking for an open enclosure or a closed area for your pool, here are a few ideas for great pool designs. 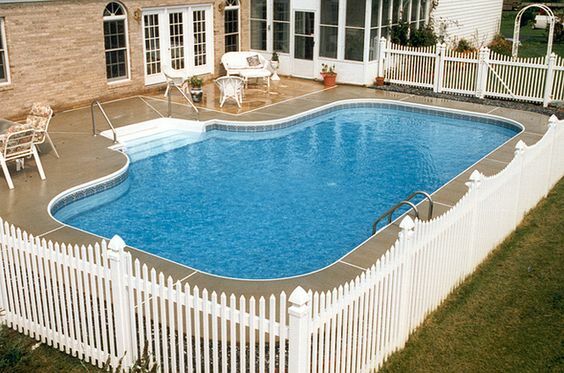 If you live in a sunnier location and use your pool often, you may want to enclose it with a fence or barrier that allows your pool to still be in the open. During the warmer months, you’ll want to be outside on the patio, enjoying the pool and your ability to move easily between the house and the pool area. If you have pets or kids, keeping them safe from falling in the pool is essential. You can create a barrier that keeps people and animals out of the pool using fencing material, which is a popular pool enclosure option. Some people opt for small chain link fences, which are tough to get through and have gates you can lock for added security. If you are looking for a more aesthetic option, a fence or shrub barrier may be a better option for your pool. A fence made of wood, glass, or other stylized material still serves to protect your pool as well as kids and pets, while making your pool area look like an oasis. Another pool enclosure option is raised beds, trees, or other shrubs. Although they require more maintenance, a natural enclosure can maintain the look and feel of your outdoor space. If you live in a colder climate, you may want to consider a covered pool enclosure to get the most use out of your pool. 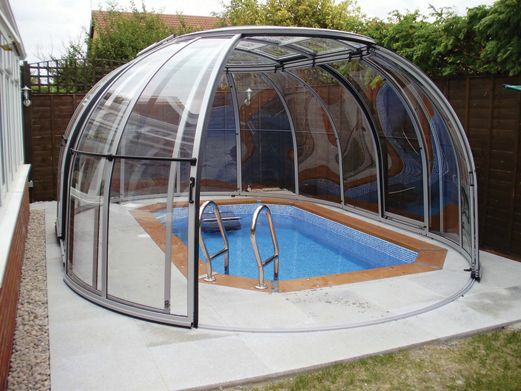 A covered enclosure could allow you to heat your space, making the pool enjoyable to use throughout the year. A cover also protects your pool from leaves that may fall from nearby trees, rain, debris, and animals. 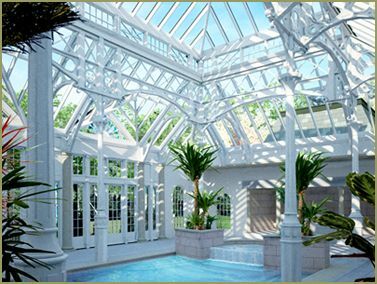 A covered enclosure could create a nice sun room space and be a great addition to your pool, allowing the sun to stream in and create a warm, comfortable environment. 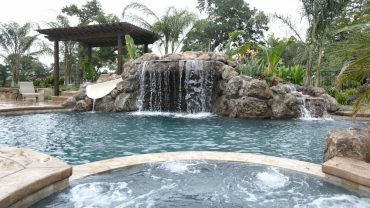 Covered pools can be created using a variety of materials, depending on the look you are going for. You can create sunroofs or make the entire thing out of glass, and add in sliding doors or a retractable roof for when the weather gets warmer. 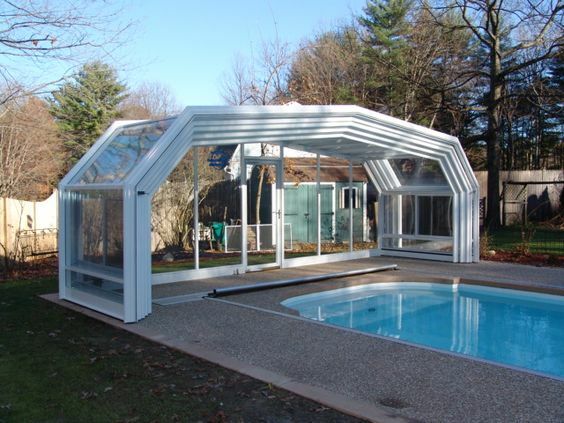 Pool enclosures can extend the life of your pool by sheltering it from the elements. Additionally, any kind of enclosure can keep people and pets out of your pool when you aren’t using it. Different kinds of enclosures can offer up benefits depending on how much space you have, the design look you’re going for, and what materials you prefer to work with. Here are a few more design options for pool enclosures for your pool. 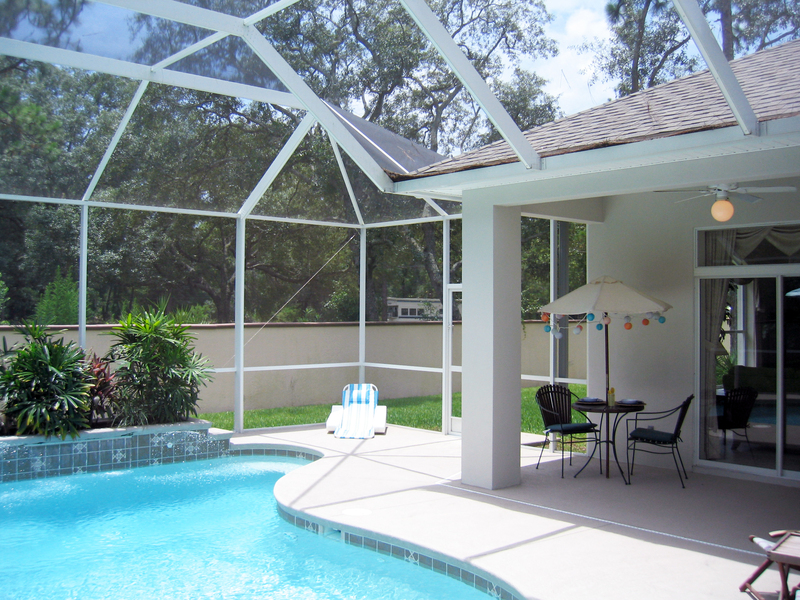 A retractable pool enclosure can make your pool usable throughout all the seasons. A dark, glass enclosure creates a modern design look. 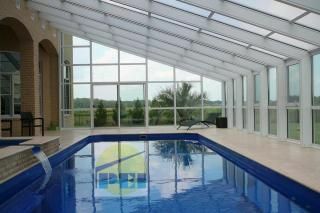 A white beamed, glass pool enclosure can create a bright and open atmosphere. Create a new, iconic space for your pool. Retractable roofs can be easy to use and beautiful to look at. 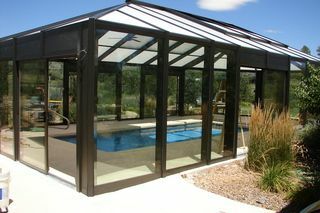 Pool enclosures can be designed to attach to your home. A capsule enclosure can be good for saving space. 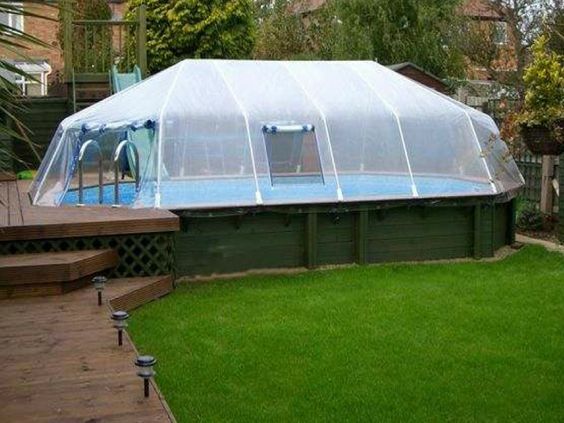 Plastic enclosures can protect your pool from the weather. 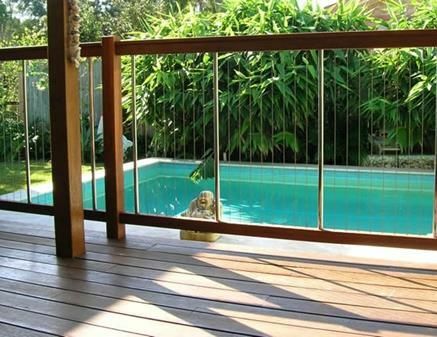 A wood and metal fence can add style and security to your pool. 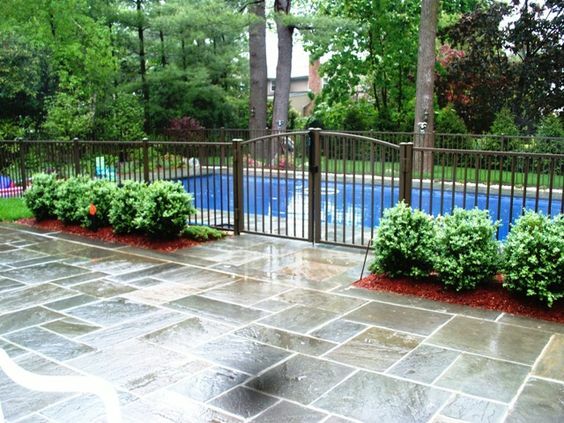 Natural barriers can also be used to protect your pool. 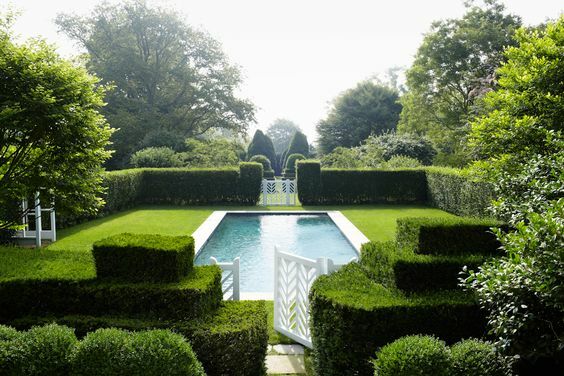 Use a combination of fencing and shrubbery to create your outdoor pool space. White fencing can provide security and give your pool an open and comfortable look. 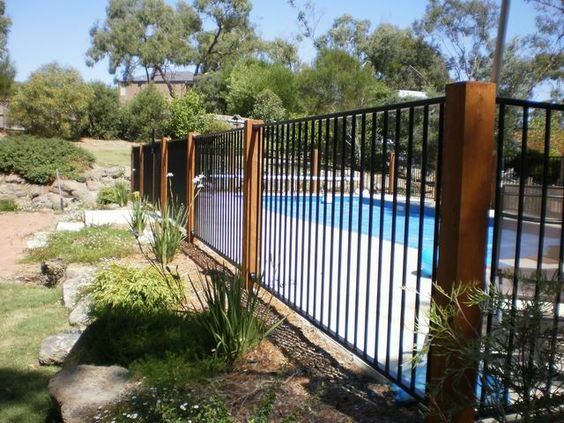 Cable fencing is a unique way to enclose your pool. 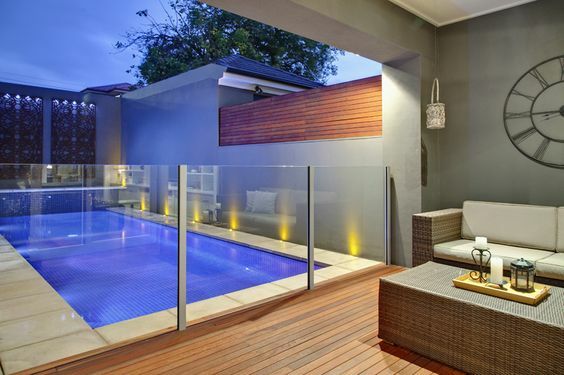 Glass fencing can provide a subtle way to enclose your pool. 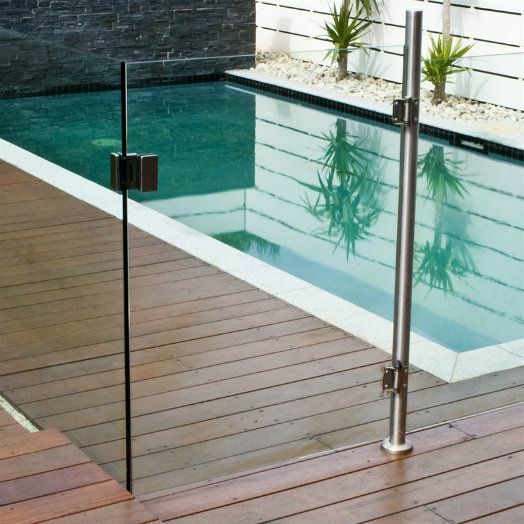 A glass barrier can provide a seamless transition from inside to your pool area.